Hypersomnia is a sleep disorder marked by excessive sleepiness in the day time. Patients with this condition may find it hard to stay awake in the day time, making it difficult for them to work. Those suffering from idiopathic hypersomnia may have trouble staying awake for more than a couple of hours in the day. There are several potential causes of hypersomnia. Persons who suffer from narcolepsy or sleep apnea may be at a higher risk of suffering from hypersomnia. Obesity, a head or brain injury, drug use, alcohol abuse, and depression may also make one at a higher risk of developing this condition. 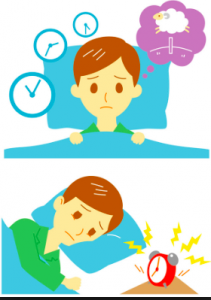 A doctor may use a number of tests including CT scans and polysomonographies in order to identify the presence of a sleep disorder. An Electroencephalogram (EEG) may also be ordered to evaluate the functioning of the brain. If you are applying for a claim for disability benefits for idiopathic hypersomnia, ensure that you submit all medical evidence. This includes the results of your CT scans, polysomnography tests, or EEG tests. It’s quite likely that your claim will be denied at first. In the case of idiopathic hypersomnia, it is very important to provide evidence not only of your symptoms but also how they make it difficult for you to stay awake for longer periods of time. There are medications that can help a person to stay awake, and the Social Security Administration will want to know if you are on these drugs and if they are helping you to stay awake.